The social objective of inithealth is the design, development and commercialisation of applications and technical solutions specific to the areas of health, wellbeing and sport. At inithealth, init Group’s health department, we promote the development and use of innovative digital tools that allow many people to personally manage their health and to adopt healthy habits. The complex illness of a family member of the init Group brought the difficulties associated with health management, when related to the health system, to light. With the objective of changing this paradigm, and of putting health in the very hands of the public, the init Group created the health branch, inithealth. At inithealth we promote the use and development of innovative digital tools that allow huge numbers of people to personally manage their health and to adopt healthy habits. The main asset of the health department is the inithealth platform. This is a tool specified for the personalised management of each individual’s health. The platform encourages the creation of healthy habits as well as dedicated management of the user’s health and wellbeing. Our platform is intended for insurance, finance and health sector companies, corporations and generally large groups who want to offer these kinds of services to their members or associates.  Currently, inithealth is active and developing in Spain, Portugal, Mexico and Chile. Init Group was created in 2006 with a clear vocation, putting new business initiatives in motion and not just supporting their development, but also creating the corporate structures and conditions that make their futures possible, and generating profit for their local economies in the environment in which they are developed. It aspires to create business projects with the capacity to grow and contribute a balanced profitability in economic, social and environmental terms. init Group’s mission is to link society’s challenges to entrepreneurs and business-minded organisations who want to search for ideas and solutions to those challenges, using all tangible, or intangible, resources that make it possible to carry this out. Throughout this, great innovative ability and the latest advances in technology are applied. Init Group develops activity in four strategic cores: the health department (inithealth), technological innovation (init Services), the marine environment (Bajoelagua Factory) and business ventures (initland). init Group’s health branch consists of a multidisciplinary team of people with ample experience in the world of sanitation, insurance, distribution, marketing and technology.